Pros: Made of recycled material and pigskin. Cons: Not sticky rubber, not comfortable on long hikes, below average durability. While this shoe is no longer available, we have reviews of many top approach shoes you can buy today. The Patagonia Boaris is a skate-style shoe. It is made of pigskin and a number of recycled products. We found it to be a street shoe and definitely not for big hikes. For an urban style shoe we lean more toward the Five Ten Chase or for an all around shoe (street and trail) we recommend the Five Ten Guide Tennie or the Five Ten Camp Four that also performs on serious big wall style climbs. This is a comfortable shoe that works well on pavement. It is one of few shoes with a lifetime warranty and also one of few shoes made with recycled products. It's a shoe that is more about looks, the unique materials, and the fact much of it is recycled. 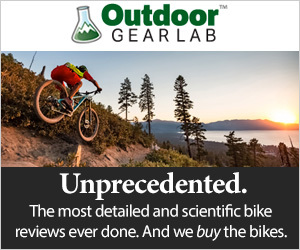 It is for a outdoors person who mostly uses it for urban adventures but occasionally takes it on the trail. After four months of hard use the stitching started to blow out around the laces and toe. Also, after about a mile of hiking on a trail they don't feel that comfortable. The rubber is not very sticky, which makes it not so ideal for slabby approaches on granite.